Ryan Polidori stopped all 41 shots he faced in goal as the Leamington Flyers beat the Sarnia Legionnaires 4-0 Sunday afternoon at the Kinsmen Centre. Leamington has 48 points and sits in second place in the GOJHL Western Conference. Sarnia is in fourth place with 40 points. The Flyers scored two goals in the first period. Michael Andrews cracked the scoreboard at 1:28 into the game, then Spencer Lecot doubled the Leamington lead later in the period. Leamington added another pair of goals in the second frame. The first was on the power play from Colton O’Brien, the next from Adam Groat which was scored with 18 seconds left in the segment. There was no scoring in the third period but there were plenty of penalties to go around. The Flyers had 20 penalty minutes and the Legionnaires had 14. Sarnia’s Ethan Dupont and Leamington’s Josh King picked up late-game misconducts. Jakob Knowles had 24 saves in net for the Legionnaires. Sarnia next visits the LaSalle Vipers Wednesday night, while Leamington hosts the London Nationals Thursday. Liam Fedak scored a hat trick in the St. Thomas Stars’ 7-4 win over the Strathroy Rockets at West Middlesex Memorial Arena. The Stars now have 30 points and are in eighth place in the Western Conference. The Rockets are in seventh place with 33 points. Both teams exchanged a goal to get things started. Ryan Warner put the Rockets on the board first, then Darren Beattie scored for the Stars to tie the game at one apiece. In the second period, Michael Wood’s goal at 52 seconds in briefly put Strathroy on top, but St. Thomas later scored twice within a minute. Brandon Cooper tied the game at 2-2 at 11:45, and Sean McGurn scored unassisted 41 seconds later. The Rockets answered back with Adrian Franklin’s goal at 12:53 for a 3-3 score, but the Stars took a 4-3 lead into the locker room thanks to Fedak’s first goal. McGurn and Fedak scored again for St. Thomas midway through the third period, 31 ticks apart. Wood picked up his second goal for Strathroy, but Fedak responded to complete his hat trick. Anthony Hurtubise had 36 saves in goal for the Stars. Joshua Diamond knocked away 34 shots for the Rockets. The Rockets will visit the Nationals in London Wednesday night. The Stars welcome Leamington on Friday. 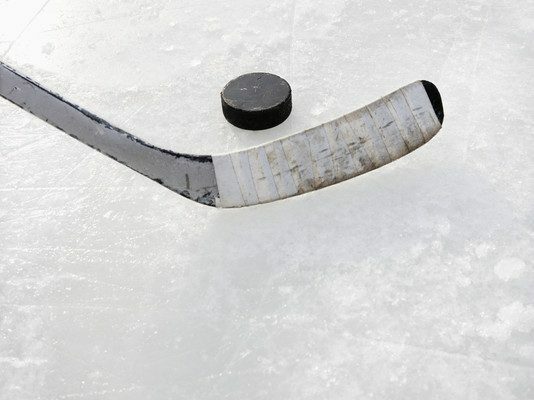 The scheduled games for Sunday night with the Petrolia Flyers visiting the Blenheim Blades, and the Amherstburg Integrity Admirals hosting the Wallaceburg Lakers, have been postponed due to weather conditions. Make-up dates have not yet been set for either contest.